Losing weight and keeping it off cannot get any easier than with our medical weight loss program in Philadelphia. In our Philadelphia medically supervised weight loss program we use the finest FDA approved appetite suppressant medications, weight loss pills and diet pills to help you lose weight by getting your appetite under control and teaching you what you should be eating and even what type of exercises you should be doing if your goal is to lose pounds and inches. For more information on our medical weight loss program just call us at 215-821-7336 and schedule your free weight loss consultation. Our medical weight loss program is different from many of the other weight loss clinics and diet doctors in Philadelphia. In our program we give you high quality weight loss medications but we spend the time to teach you the proper foods that you should be eating. The number of calories you should be consuming on a daily basis and even the best exercises for fat burning. Lots of other weight loss doctors in the area may just give you the weight loss pills and expect you to figure out the whole diet plan on your own. But in our program we like to provide our weight loss patients with a totally comprehensive plan for losing weight. This is why we spend time with you reviewing a sensible eating plan and why I spend so much time updating this blog every week. Every week I update this blog with the recipes that are either low in calories or low in sugar or carbohydrate. So every week everyone can visit the site and copy these recipes so that you are not lacking of delicious foods to eat. Now here are 4 smoothie recipes that have tons of nutrition and will assist you in achieving your weight loss goals. Personally I like to have 1 – 2 shakes a day and 1-2 sensible real food meals to help me maintain the 80 pounds of weight that I have lost. This makes 1 – 2 servings. So there you have it 4 great smoothie recipes to help you lose weight. If you or someone you know needs help with losing weight invite you to call us and schedule your free medical weight loss consultation. Call us now at 215-821-7336 and we will be glad to schedule you for your free consultation. 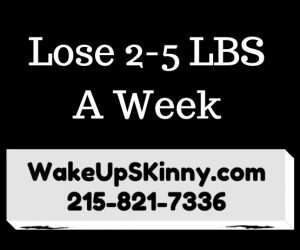 This entry was posted in Medical Weight Loss, Medical Weight Loss in Philadelphia PA, Medical Weight Loss Philadelphia, weight loss philadelphia and tagged medical weight loss in philadelphia, medical weight loss in philadlephia, philadelphia weight loss doctors, philly diet doctors, weight loss in philadelphia on February 13, 2017 by Dr. Michael Kenny.